1. Does My Country Tax Cryptocurrency? Whether you have to pay taxes on your cryptocurrency depends on several factors, including where you live, where your crypto exchange is based, which types of cryptocurrency you own and how you use your cryptocurrency. The information in this guide should be referred to as general advice, not a definitive, up-to-date guide to cryptocurrency tax policies in different countries. Does My Country Tax Cryptocurrency? The biggest factor that will affect how your cryptocurrencies are taxed is your location. Because cryptocurrency remains relatively new, tax policies on cryptocurrency can change quickly and are still not well-defined in many countries. In some cases, the countries that have established the clearest policies on cryptocurrency taxes are those that have explicitly taken the stance of not taxing cryptocurrency. Examples of countries in this category include Germany and Singapore. In the United States, the Internal Revenue Service (IRS) has issued policy statements that make clear that it considers bitcoin and other forms of “convertible virtual currency” — a category that most analysts would interpret to include all cryptocurrencies — to be taxable. 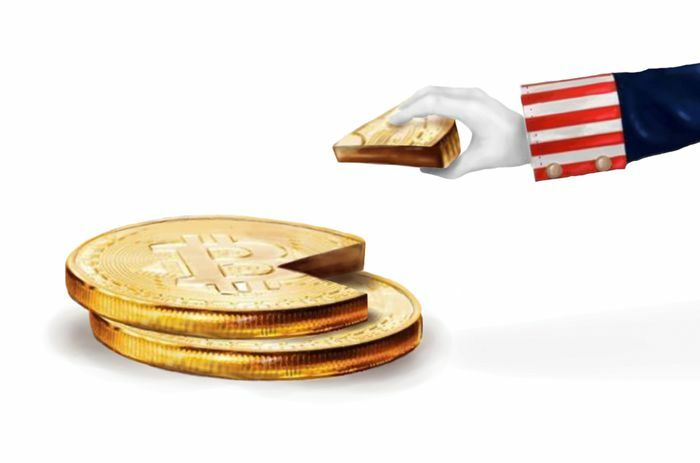 Most state governments within the U.S. have not issued tax advice regarding cryptocurrency, but it is likely that they will follow the lead of the IRS. Another factor that can determine whether or not you have to pay taxes on cryptocurrency is how you use or earned it. Many tax codes make a distinction between income and capital assets and apply different tax policies to each. Some countries require residents to pay taxes on income, but not on capital assets. Thus, if you receive income in the form of cryptocurrency — that is, if your employer, or someone you work for as a contractor, pays you using cryptocurrency, or if you collect rent from tenants in the form of cryptocurrency, for instance — you would be responsible for paying income taxes on the earnings. Alternatively, if your profits from cryptocurrency come from selling cryptocurrency on exchanges, the earnings are likely to be treated by your tax authorities as a form of capital gains, rather than income. Tax policies on capital gains are often different than those for income. In the United States, you still have to pay taxes on capital gains, but the rate is generally lower than that for income. Some countries do not tax capital gains at all. The big question on the minds of many taxpayers who use cryptocurrency is whether governments will actually enforce tax requirements involving crypto. Given the anonymous or pseudonymous nature of many crypto transactions, tax enforcement is difficult. However, that has not stopped tax authorities in some regions from undertaking concerted efforts to identify people who fail to report or pay taxes on cryptocurrency. The IRS has demanded that crypto exchanges hand over the identities of their users, for example.